for the Fiscal Year 2018 Partner Excellence Award. 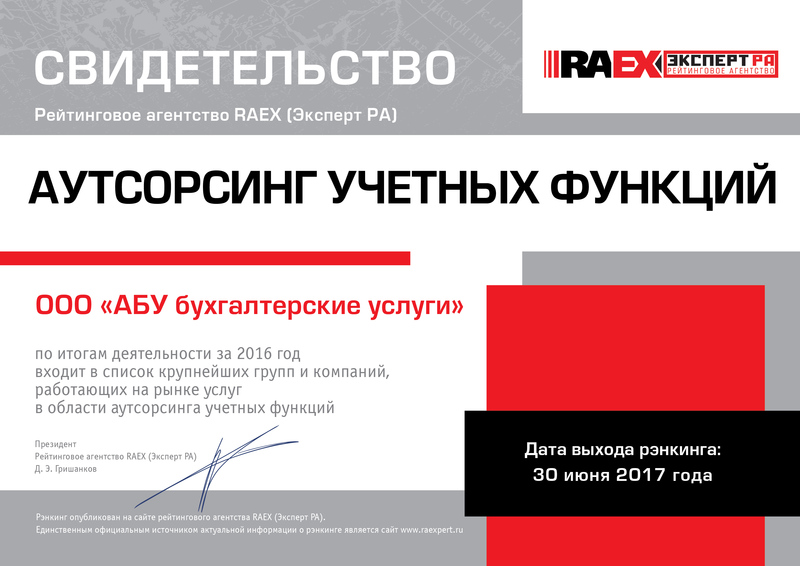 ABU Accounting Services has repeatedly confirmed its leading position in the Russian market according to the RAEX (Expert RA) rating ‘The leading companies engaged in business process outsourcing in Russia’ 2017. Our 8th position in the Payroll ranking should be focused particularly. Over the years, we have been consistently in the top ten and retained our leading positions notwithstanding that several significant players have appeared in the 2017 rating and challenged many companies. 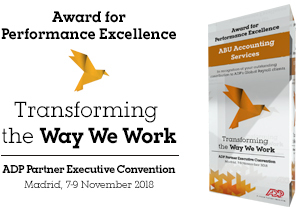 Svetlana Vesnina, ABU Accounting Services Managing Partner says, “The ABU customers pay special interest to conformity of the internal corporate policies with the law requirements. We render this service as part of HR administration assignment, and among other things, it has contributed into the development of this practice in 2017. I associate the increased demand not only with changes in legislation, but also with a growing interest to the ‘transparent’ business. I hope this trend will continue”. 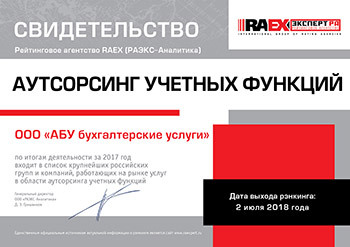 Our main customers are the Russian offices of international companies, which we help to enter the local market and carry out activities fully compliant with the legislation requirements. However, we recognize the growing demand for the services from the Russian companies, especially when they start up businesses, or hand over payroll to the outsourcer. “I believe that Russian companies have recognized the benefits of transferring accounting to the professional provider, as it leads not only to optimizing costs, but also to reducing risks associated with the business management in the situation of strict compliance requirements. I see the biggest potential for growth in the integration of IT solutions into tried-and-tested outsourcing. It facilitates to streamline processes, reduce costs, and create positive user experience, which is extremely important”. ABU Accounting Services is in the list of the largest consulting groups and companies in Russia.